You're only as old as you feel John. Personally I look and feel 18 again - NOT! - Casio G-Shock DW-6600F-5V, Desert Rat(Camouflage) yellow, '94 model, made in japan (my first G! ), modded with Off White/Sky Blue Band and Bezel Set. 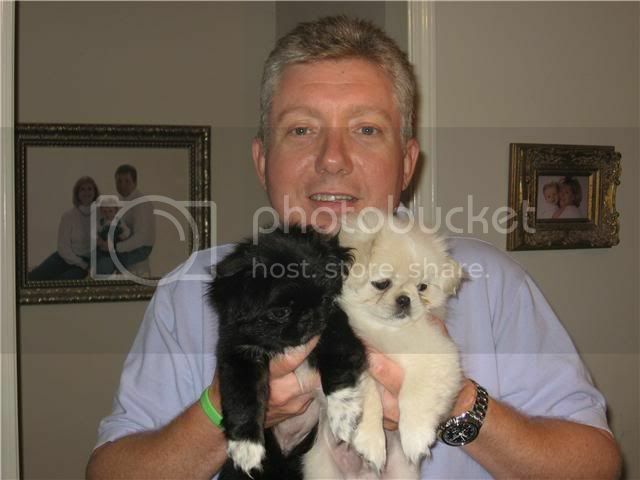 Here is a better one - my wife went out last weekend and came home with two Pekingese puppies and snapped this pic of me holding them last night (wearing the Speedy of course - 7/20/09 - 40th anniversary). haha... two puppies and all those boys. Busy guy for sure..